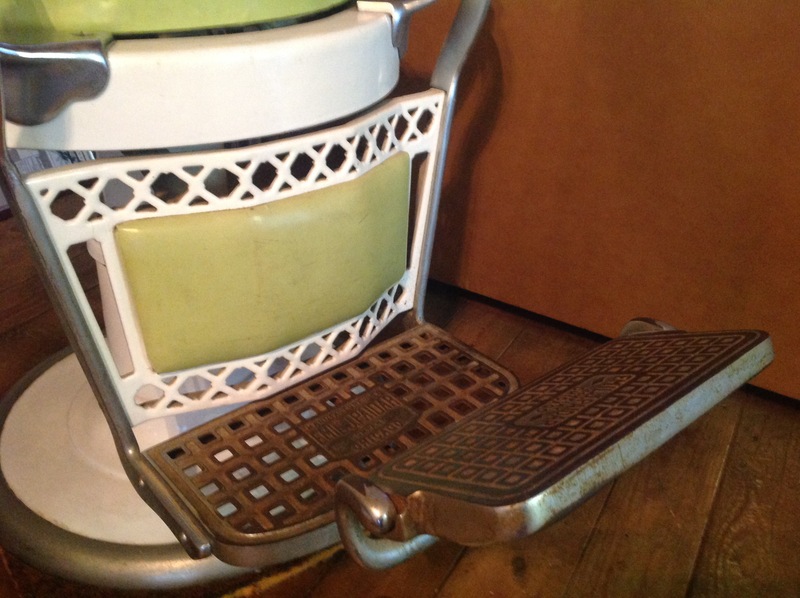 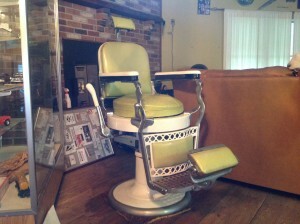 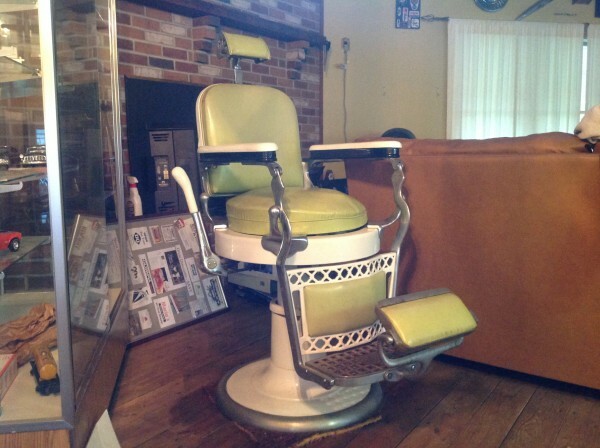 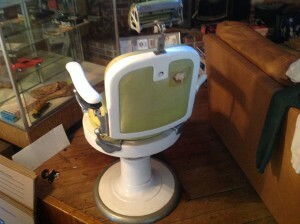 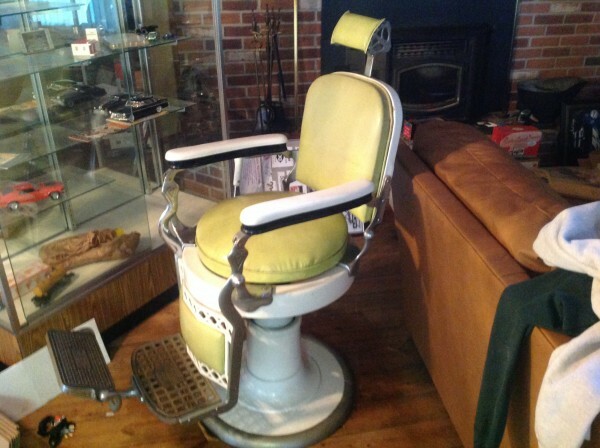 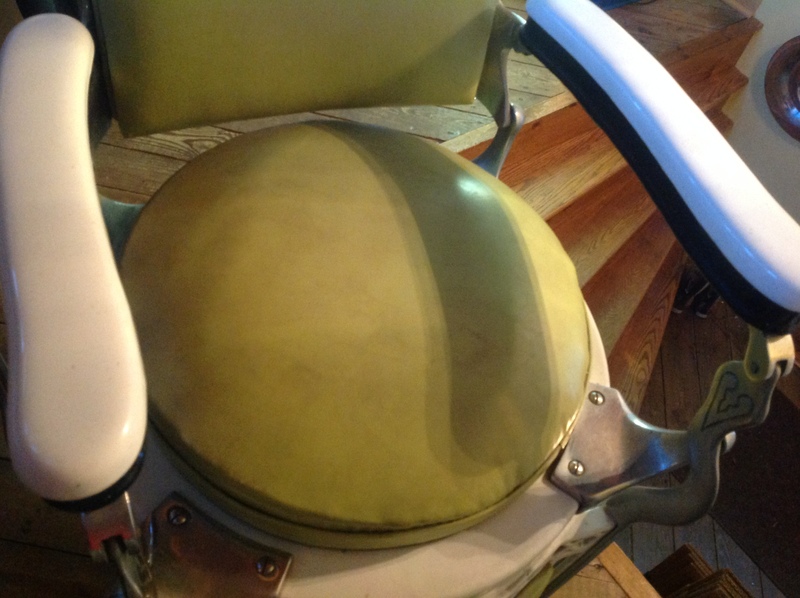 Antique round seat Paider porcelain barber shop chair in as found working condition. 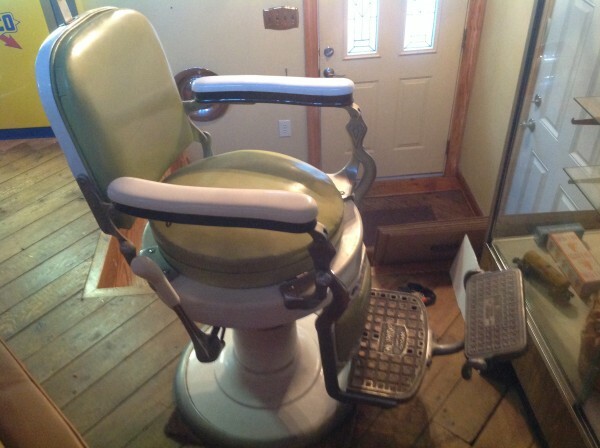 Comes complete with original headrest. Upholstery in nice condition with the execption of a rip in the back top rear section. 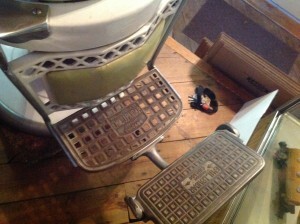 Bottom side of arms are painted black but all porcelain appears to be in good shape. Will need some minor cleaning and polishing. Great chair to read the paper in…………..